P.C. Rossin College of Engineering & Applied Science at Lehigh University in Bethlehem Pennsylvania. 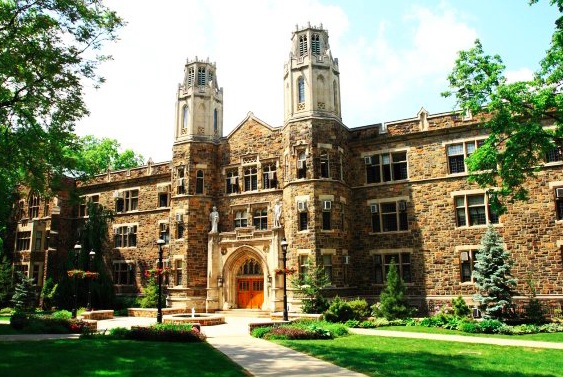 A 22-year-old chemistry major at Lehigh University in Bethlehem, Pennsylvania has been charged with attempting to kill his four-year roommate by way of poison. Yukai Yang was arraigned on Thursday for allegedly attempting to poison his roommate by mixing together thallium — a water-soluble toxin — and other chemicals in the victim's food, drinks, and mouthwash, according to the New York Post. Yang, an international exchange student from China, is being charged with attempted homicide, aggravated assault, simple assault and reckless endangerment. Prosecutors in Northampton County told reporters the alleged plot began back in February when Yang's four-year roommate, Juwan Royal, first experienced burning in his mouth after drinking water and a sore tongue from his mouthwash. Over time, he also noticed a change in color to his milk and mouthwash. On two occasions in March, campus police were called to the pair's dorm room because Royal was so sick. During one visit he was taken to the hospital because he was "violently" vomiting and was unable to stop shaking, according to The Morning Call. One week after the hospital visit, officers were again called to the pair's room because of an incident involving racial graffiti on their dorm wall and the destruction of some of Royal's belongings, allegedly done by Yang. Yang was arrested on accusations of ethnic intimidation and suspended from the university in April, The Morning Call reported. It was at that point that officers seized Yang's computer and cellphone. Royal then told officers of the prior incidents and submitted to a blood test, where medical personnel discovered thallium in Royal's blood above the recommended exposure limits, according to prosecutors. In the latest development before Thursday's arraignment, Yang admitted this past May to buying chemicals on the Internet to mix into food he stored in the shared refrigerator if he did poorly on a future exam. Royal, who has since graduated, is still experiencing symptoms from the alleged incidents nearly a year later, according to prosecutors. A motive for the alleged poisoning is still unclear.